WavesGear is offering Kotaku readers an exclusive 55% discount on the perfect accessory, their extra-large Micro-fiber towel, now only $13.50. Use promo code MT-HOLIDAY55 on the second page of checkout. Choose either the extra-large (36”x60”) or regular (27.5”x55”) for just $13.50. Both sizes are available in blue, grey, orange, berry, green, and yellow as well as packs of three ($33.75), or six ($63). 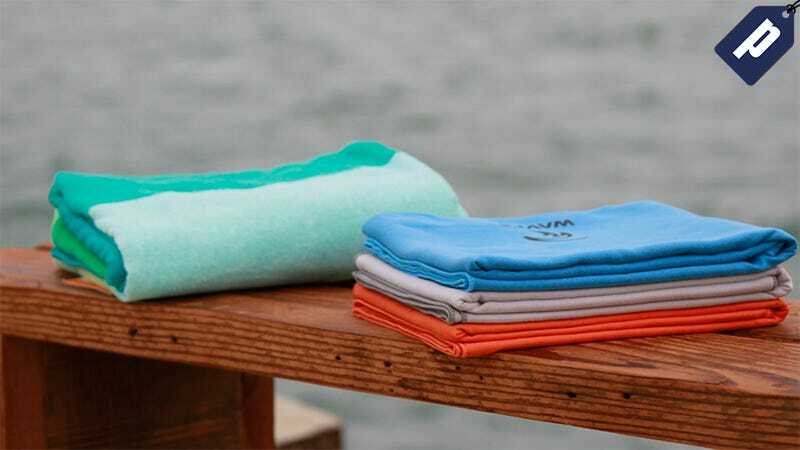 Get yourself the most versatile towel and enjoy the perfect accessory for your new endeavors. Use promo code MT-HOLIDAY55 on the second page of checkout.